Self-contained, often unaligned operations of public health, behavioral health, child welfare, education, probation, and juvenile justice systems have hindered collaboration, coordination, and integration of care and services for youth involved in the child welfare system. These siloed structures only serve to increase the challenges faced by system-involved youth, who face escalating punitive treatment that can lead to entry into the juvenile justice system, having the unintended consequence of re-traumatizing the youth they seek to support. Children and youth who have contact with the child welfare system are at higher risk for involvement with the juvenile justice system. When this happens, these youth (often referred to as dual status or crossover youth) are more likely to experience not just the negative effects associated with either the child welfare or the juvenile system, but also the outcomes that result from being a part of both systems. 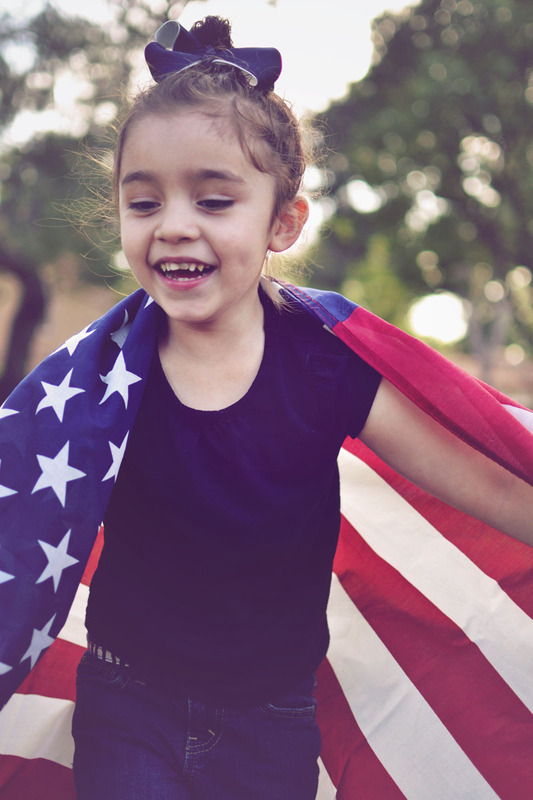 Dual status youth face additional issues as a result of complex trauma— exposure to multiple traumatic incidents that are often repeated, prolonged, and extreme, and can affect child physical, social, and emotional development. Up to 60 percent of youth in the juvenile justice system have a diagnosable mental health disorder. To make matters worse, youth of color are overrepresented at every stage of the delinquency process—from arrest to secure detention, confinement, and transfer to the adult system. California and other states must break the cycle for dual status youth by increasing access to family supports and services that will help youth heal and develop resilience; creating safeguards that prevent multi-system contact; and investing in positive youth development to facilitate their transition into healthy and successful adults. The adoption of innovative strategies and policies that work toward these goals will not just improve health, developmental and learning outcomes for dual-status youth, but also help prepare them for a brighter future. 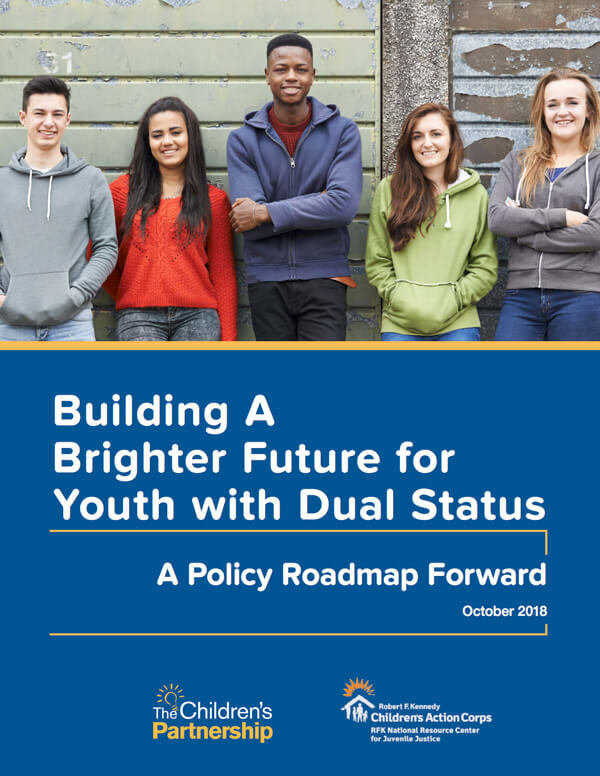 The Children’s Partnership, in partnership with The Robert F. Kennedy National Resource Center, is excited to share with you our new roadmap, Building a Brighter Future For Youth with Dual Status: A Policy Roadmap Forward, which outlines useful policies, practices, tools, and frameworks supporting jurisdictions improve outcomes for youth with dual status. 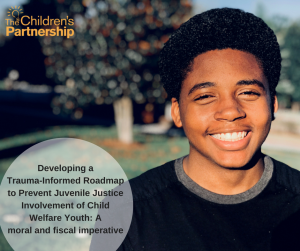 Our new report documents findings compiled at out April 2018 national convening, Developing a Trauma-Informed Roadmap to Prevent Juvenile Justice Involvement of Child Welfare Youth: A Moral and Fiscal Imperative, that brought together federal, state, and local leaders to identify solutions and opportunities to support the healthy development of youth in our child welfare system who have had contact with or are at-risk of entering the juvenile justice system. Our recommendations not only highlight the challenges we are facing, as evidenced by the findings but also offer valuable insights for what more can be done to improve the experiences of youth with dual status. In promoting collaboration, innovation, and a culture shift, these recommendations seek to create a more responsive and equitable approach to support the healthy development of youth with dual status. 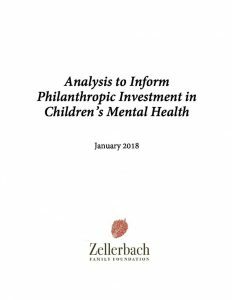 Read our report to learn more on how to support the healthy social, emotional, and physical development of youth and visit The Children’s Partnership and The Robert F. Kennedy National Resource Center for updates on our work. 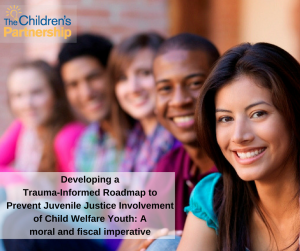 The goal of this national, invite-only convening is to bring together advocates, thought leaders, and other partners from across the country to lay the foundation for the development of an effective and implementable roadmap to improve outcomes for dual status youth — youth who come into contact with both the child welfare and juvenile justice systems. This is an opportunity for a robust solutions-oriented dialogue, out of which we seek to create a roadmap for policymakers, local jurisdictions, youth-serving systems and other stakeholders seeking to enhance cross-sector coordination and collaboration; integrate coordinated trauma-informed systems-of-care; and leverage technology and innovation to ensure that youth are safe, healthy, and thriving. We are working to ensure all children in California benefit. For all children to have the opportunity to enroll in comprehensive affordable health coverage. The Robert F. Kennedy National Resource Center for Juvenile Justice (NRCJJ) assists local, state, and national leaders, practitioners and youth-serving agencies in improving system performance and outcomes for youth involved with, or at risk of becoming involved with, the juvenile justice system.The NRCJJ provides consultation, technical assistance, training, and resources in four primary focus areas: advancing best practice in juvenile justice systems; improving outcomes for youth with involvement in both the child welfare and juvenile justice systems, known as dual status youth; reviewing and improving probation system practice and performance; and overcoming multi-system information sharing challenges. i.e. communications, LLC is a strategic communications and policy advocacy firm that provides consulting services for foundations, government agencies and nonprofit organizations. i.e communications develop policy advocacy campaigns focused on vulnerable youth and families through a collaborative and multi-faceted approach. Over the past two decades, i.e. has provided the research, as well as developing and executing successful campaigns focused on child welfare and juvenile justice reform, reproductive rights, gun violence prevention, and exposure to trauma, among others.